In developing innovative software, based on the methods of AI (Artificial Intelligence) and computer linguistics, we work together with scientists and research institutions. We are united by team spirit, not by academic titles. Our motivation to be better than the rest is what leads to our exceptional results. 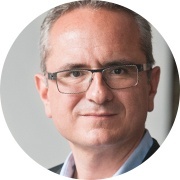 ... is the founder of the ITyX Group and has been actively developing software solutions in banking and insurance since 1995. He is responsible for the business areas research and development, along with product management. The computer scientist has an amazing inventiveness and a sixth sense for successful solutions. … has an MBA and many years of experience in business development and consulting. His passion is developing innovative business models. 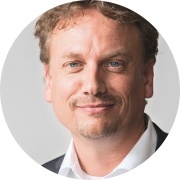 Rolf is in charge of BPO cloud solutions at ITyX. ... has consulted large companies in business organization and IT since 1982. Günter spent many years analyzing why market-leading companies - "top performers" - are as successful as they are. Since 2009, Günter is heading up ITyX’ sales department. ... has been professionally focused on innovative solutions in contact centre environments since 1993. 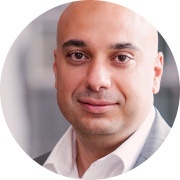 He managed issues such as ACD/CRM integration for banking and later on for wireless communication as a senior consultant before becoming ITyX Managing Director in 2003. He is responsible for marketing and public relations. ... is “banker” by trade. 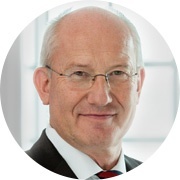 He has held various leadership positions over the years as sales expert and consultant and has intensively immersed himself in the building of distribution networks - most recently as cofounder and managing director of btacs GmbH. 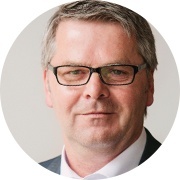 Since 2010, Andreas is head of partner relations and in charge of the ITyX Group’s international expansion.